The church has been here before. In 318 AD a priest called Arius led a movement that said Jesus was just a man, and this heresy became so powerful that at one point, in eastern Christendom, every church leader that said otherwise was in one small boat with Bishop Athanasius, sailing up the Nile. The heresy that we face today, when stripped down to its essentials, is the same. It follows from the belief that we can change Jesus’ words and that we can deny their plain meaning; in this instance, those recorded in Matthew 19: 5-6. If we do this it can only be on the grounds that Jesus is just a man, and could only speak out of the limited understanding possible in his own time and place – in his case, first century Palestine. Given that we now live in the supposedly much more advanced twenty first century, we have outgrown Jesus’ more dated teaching, and so must substitute them with our own, as befits the times. What could be more rational than that? So goes the revisionist argument. The difficulty is that Jesus claims he is far more than a man. He say that to see him is to see God, that he and the Father are one. He claims that he himself is the Way, the Truth and the Life. This then is the problem: if Jesus and every word he speaks, is not in every possible sense, the Truth and nothing but the Truth, to which nothing can be added or taken away; then he cannot be either the Way or the Life. Therefore this claim by the revisionists that we can revise Jesus’ words to say what we want them to say, rather than what they so plainly mean, is also to claim that Jesus is not divine, but just a man. This is Arianism, the heresy begun by Arius, which took root in the church for most of the fourth century. However, after an epic struggle lasting sixty years, it was Athanasius who finally triumphed. He lived to see the Nicene Creed confirmed, and later the triumph of orthodoxy was sealed with the Chalcedonian Definition which proclaimed that Christ is fully God and fully man. This is the faith of the church. His words are not to be changed at our convenience. We cannot stand in judgement over his words. His words stand in judgement over us. Now Arianism is back, the old heresy in a new guise, smuggled into the church under the cover of a civil rights movement. 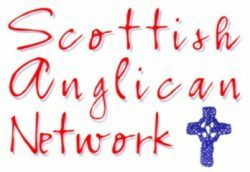 It has deeply affected much of the western church, and in the change to canon 31 of the doctrine of marriage, it has taken over the Scottish Episcopal Church. The parallels between our situation and the time of Athanasius are remarkable. The entire society of his day went over to Arius: the army, civil service, church leadership and the Roman emperors. All this power and authority was turned against Athanasius. As Bishop of Alexandria, the second city of the empire, he could not be ignored. He was ordered to be politically correct, to stop his obdurate opposition, and was commanded to serve the teaching of the now Arian church. Athanasius refused and he fled up the Nile, pursued by a police boat, with only the clothes on his back and escaped into exile in the west. He endured decades of hardship which broke his health, while maintaining the cause of orthodoxy. He wrote letters, taught and ordained orthodox bishops, whom he sent to found Christian churches within the Arian jurisdiction, and he rebuilt the true church. History is now being repeated. Bishop Andy Lines has been consecrated by the orthodox heirs of Athanasius to come to us and start a new orthodox Anglican church, in what has now become an Arian jurisdiction; in Scotland and other parts of Britain. Orthodox believers, once more have a church they can belong to; and for that lifeboat, the orthodox Anglicans in Scotland are profoundly grateful.